Having freedom of time is a big reason we became entrepreneurs. We want to spend our hours doing what we love to do professionally, while also having enough time away from the business to pursue our other passions. Unfortunately, we usually end up working "half time" -- meaning 12 hours a day instead of the entire 24. The good news: We can take back our time-crunched lives and enjoy the time freedom we desperately crave. So says Elizabeth Saunders -- time investment expert, founder of Real Life E Time Coaching & Training, and author of How to Invest Your Time Like Money. Here are five of Saunders' top strategies for gaining control of your limited time and leveraging it for maximum impact on your business and your life. 1. Take an ownership mindset with your time. So often we give up our control over time and make our business a much worse boss than we would ever work for in the corporate world. The solution is to view time as something you own rather than something that owns you. "If you don't believe that you can be successful and work a reasonable number of hours, you won't. You'll find plenty of ways to keep yourself busy," notes Saunders. Indeed, as a senior executive at a company I once worked for, I had four assistants, but there was always a line of people outside of my door. Until I took ownership of my time, I was highly unproductive. One way to view time using the right mindset is to separate success from suffering. Sure, we have to work hard and put in our dues. But stop taking that idea too far. "My own personal definition of success involves not only being successful professionally but also having time for my personal life," says Saunders. "If I can't have a business that also supports my personal life, I won't feel like a success, so I found a way to do this without making myself suffer in terms of my time." 2. Identify your major "time debts." When we feel stressed out and overwhelmed, it's usually because there's a disconnect between our expectations of what we can do and the actual amount of time there is to spend on those activities. We tend to think that by writing things down on a to-do list that we should be able to get it done, but it's not that simple. Just as we all have a finite amount of money to spend on things we want to buy, we only have 168 hours in a week to spend on getting things done. So when you consider your time, think about the maintenance activities that need to be done for your life or business and how much time they require. Then you can think about the other projects that you want to get done. As you do the math, you'll see the big gap between the amount of time you have versus your expectations of what will get done. That's what causes the stress. You've put a goal into your life that you can't possibly achieve because you don't have the time to, in essence, pay for it. Self care. Start by scheduling time to sleep, exercise, spend with family and friends, or just be alone. This is the opposite of what most entrepreneurs do, of course. But if you're sleep deprived, for example, you are dramatically less productive. As an entrepreneur, it can be so easy to get so wrapped up in your business that you forget about the things outside of your business that will support you in your efforts -- if you invest in them. Business care. Schedule the key elements of the tasks you do -- be they emails, meetings, strategic planning, or specific projects. Think about the ideal allocation of your time to each task and commit them to the calendar. The idea is to create a basic structure for your "time portfolio" that provides boundaries and parameters for how you spend time (just as you might create a basic asset allocation for an investment portfolio). This helps you stay on track instead of simply reacting to things as they appear. 4. Make automatic time investments. As with automatic investments into retirement accounts, you want to make automatic investments into your time bank by making habits and routines out of the regular occurrences in your life. Example: You might schedule your exercise at 7:00 a.m. every day for 30 minutes. That way, you don't have to think about when to do it or how to squeeze it in. It's simply there. Same goes for big business goals. You might schedule 60-minute strategy sessions on the same day and time each week. And for the things that can't necessarily be scheduled on a daily or weekly recurring basis, the routines of daily and weekly planning help you to make sure that you're fitting them in. "Make as many things habits as possible. By having your daily and weekly planning in place, you can adjust and recalibrate for those more one-off activities that inevitably crop up," says Saunders. 5. Invest in high ROI activities, and outsource the rest. Manage your time so you spend most of it on the activities that drive value in your business -- such as business development or writing proposals. This sounds obvious, but all too often entrepreneurs get caught up trying to do everything themselves and end up spending too much time on administrative or other relatively low-value tasks that don't boost revenues and profits. Learn to let go of those low-value areas and delegate them to others inside or outside the firm. Then you can invest the time you've got in the big payoff areas. Build a great business and a great life -- on purpose and on your terms. 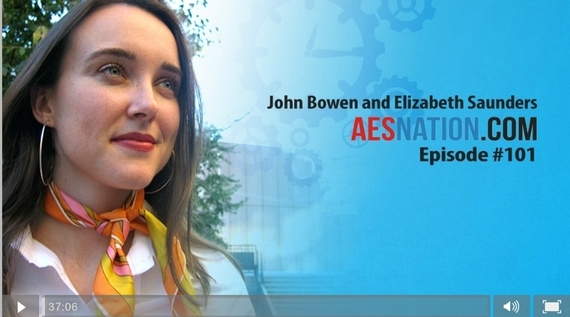 Check out AES Nation for elite insights and actionable strategies from top entrepreneurs.